We have a history of cholesterol in our family. My grand-father used to have a high level and my dad too! My mom used to watch his diet. As she was busy working, taking care of 4 kids, she didn’t cook separate meals. So we had the same diet as my diet. We didn’t eat a lot of fries, we had lots of fruits and vegetables, we didn’t add too much salt to our meals! I could never thank her enough for what she did because as an adult, I follow the same rules and my cholesterol level is normal. Unfortunately, over 40% of Canadians aged 20 to 79 have an unhealthy level (Source Stat Canada). Good” , called high density lipoprotein-cholesterol (or HDL cholesterol): prevents narrowing of artery. Walnuts and almonds: if you can have 7 to 10 per day, it would be great. Eat fruits and vegetables: my family doctor said that most of the fruits and vegetables are good to reduce the level but apples have a higher impact! Eat fish such as salmon around twice a week if you can afford it. What are your tips to reduce your bad cholesterol ? Share it with us. Disclosure – I am participating in the Life Made Delicious Ambassador Program by Mom Central Canada on behalf of General Mills. I received compensation as a thank you for participating and for sharing my honest opinion. The opinions on this blog are my own. Easy Healthy Dinner Recipe: Noodles with Shrimps, Pumpkin & Butter Chicken #DiscoverPataks. A small handful of walnuts every day, eating a lot more fruits and vegetables, and eating fish a few times a week are some of the best ways to lower your cholesterol. Especially eat more fruits and vegetables; probably the best thing you can do for yourself. For me the problem isn’t by bad cholesterol, its actually in the low to mid range. My good cholesterol is so low though that it gives me a really bad ratio. I eat a handful of almonds every day, but I need to up my intake of other foods on this list! 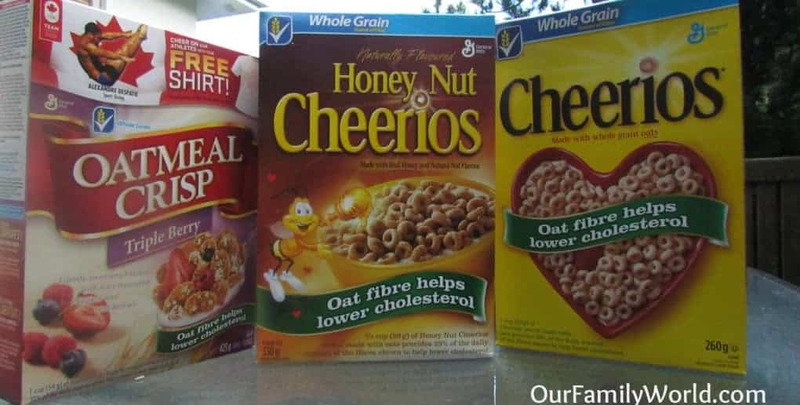 That’s why I love Cheerios!